It is a fact of life that disposable razors are expensive. Just when they seem to be beginning to get a little cheaper, they add on a new extra comfortable handle or more blades and the cost cycle begins all over again. 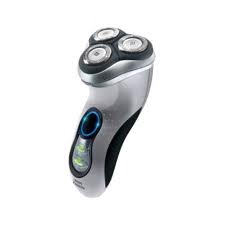 If you want to opt-out of the disposable razor rat-race, though, there is a simple solution: get an electric shaver. Electric shaving has lots of advantages. You don’t need water, you don’t need shaving foam. In fact, all you really need is some form of electricity, either batteries or mains power, and occasionally some cleaning solution to get old hairs out of the razor. It is also almost impossible to cut yourself shaving if you use an electric shaver, as they have special safety covers to avoid this happening. However, there are also some downsides. Electric shavers can often be expensive to buy in the first place. A worthwhile investment in many cases, but that doesn’t make it any less off-putting at the time. They also tend to run down their charge relatively quickly, making them impractical for travel use in places where you can’t get electricity, or where you would need some kind of adapter to make the electricity supply work. If you’re going to buy an electric shaver, there are a few features that you should look out for, as they are very nice to have. The most important is the battery life, but it is also useful to have a battery indicator, so you can see whether the shaver is going to run out of juice soon or not. Many shavers now come with a combined cleaning and charging stand, which can be good for keeping your shaver clean without any extra effort. A final important factor is the shaver’s weight and shape, with the best shavers being very light indeed and much easier to hold than cheaper ones.